© AROliver 2015 All images on this site, unless attributed to others, are the property of Andy Oliver. Not to be used without permission. The Journeyman Balladeer is an ordinary guy. Married. Empty nested. Mortgaged. All your usual burdens, responsibilities and demands. Duties done, obligations met...... he flies a microlight. It started small. Ten years later, driven by the spirit of inquiry, the quest to see over the horizon, the delta wing has pierced the blue of 50,000 miles of sky. 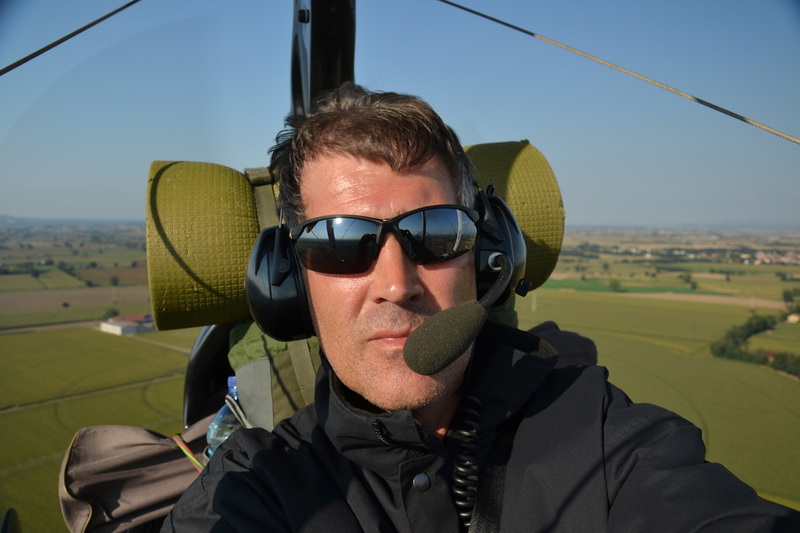 The Journeyman Balladeer is recognised as probably the UK's leading flex-wing microlight touring pilot. Soi disant, as they say in France; but, a claim endorsed by a Royal Aero Club Bronze Medal for services to UK Sport aviation. The Journeyman is a travelling artisan, learning and developing his craft. A Balladeer moved from town to town, singing of romance, heroism and life's joy and pain. The word 'balade' is used by French pilots to refer to a journey undertaken purely for the purpose of the experience of the journey itself. This website is the Song of the Journeyman Balladeer. What happiness this is: to fly, skimming over the earth just as we do in our dreams! Life has become a dream. Can this be the meaning of paradise? — Nikos Kazantzakis, 1960. The intention of this site is to share the Joy of Flex. 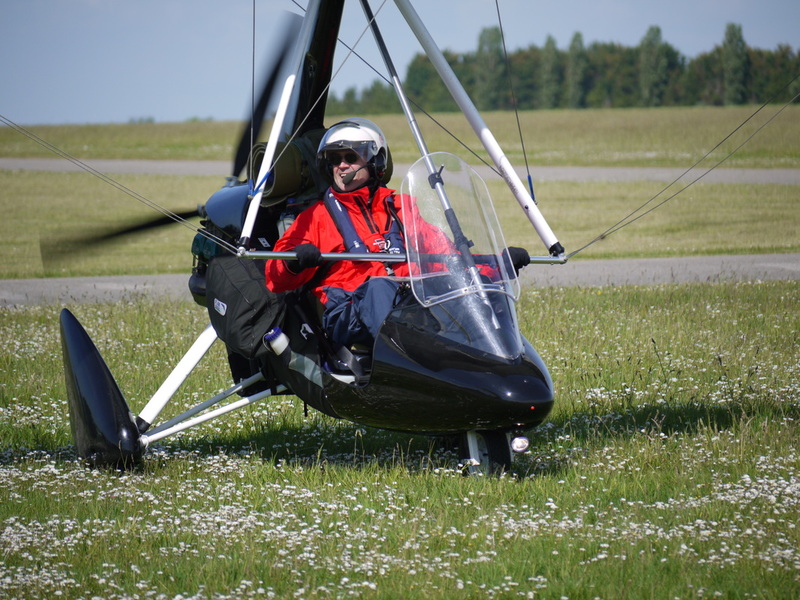 A flex-wing, or weight-shift, microlight is a well ventilated light aircraft, weighing some 250kg. There is no cockpit. No cabin walls or perspex. There is you, and a clear 360 degree view of sky above and earth below. The aircraft is flown by moving the wing, feeling the flow of the air through one's biceps. The pilot experiences an elemental freedom: hanging on the invisible infinity, there is a sense of weightlessness. An escape from gravity and the temporary cares that accrete to autonomous adulthood. 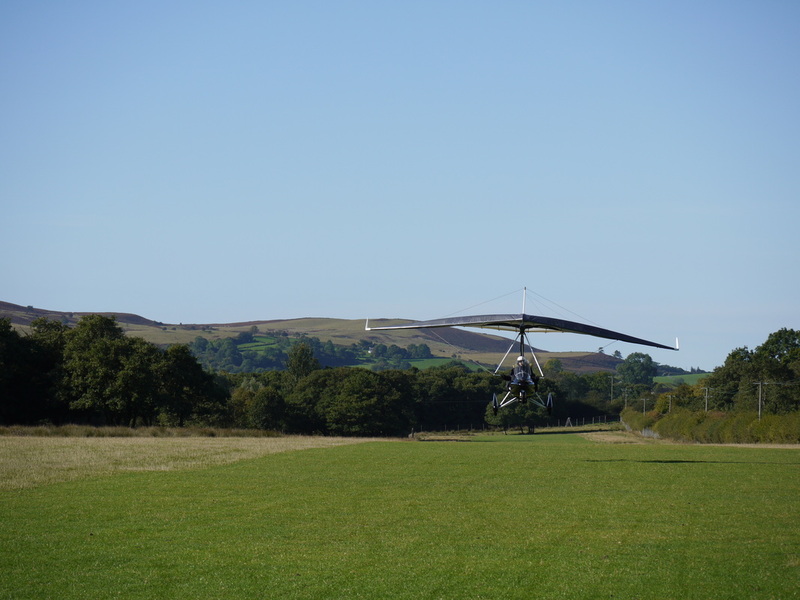 The Journeyman Balladeer seeks to communicate the experience of flex-wing microlight touring. The world, its features, its towns, its people, its colours and shadows pass before and below one in a slow procession. One feels on top of the world. The Pegasus GT450 has a maximum take off weight is 450kg: enough to take a pilot, 6.5hours of fuel, and accompanying kit and gear close to 400 miles (650km) without landing. The pilot will concede to physical demands before the aircraft will yield to the laws of physics and gravity. So the only requirement is to be sure one's flying capability matches one's touring intention. Left: Barra, one of the Hebrides off the west coast of Scotland. "This plane can teach you more things and give you more gifts than I ever could. It won't get you a better job, a faster car, or a bigger house. But if you treat it with respect and keep your eyes open, it may remind you of some things you used to know — that life is in the moment, joy matters more than money, the world is a beautiful place, and that dreams really, truly are possible." — Lane Wallace, 'Eyes of a Child,' Flying magazine, February 2000. The Journeyman Balladeer has logged over 1000 hours and 316 different airfields (in 11 countries) since 2001. 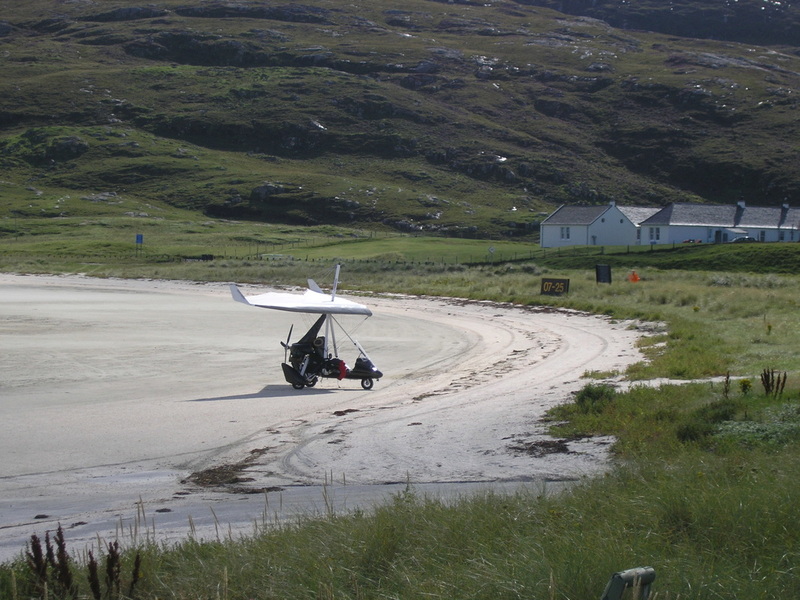 Proper landings, with a brew or a comfort break, a refuel or a pitching of the tent. Not "Touch and Go." There was a 317th; an unscheduled visit when the engine stopped. You can share the different tours by looking at the pages under "The Tours". They include 3125 miles (5000km) to Sicily and back, and a tour to Norway, passing up the North Sea coast and across Denmark. Or they might be a simple weekend overnighter into Wales, or a 5 day run from southwest UK to Bergerac in the Dordogne, France; or a visit to see friends on the Scottish Border or in Northern Ireland: both trips of some 750 miles (1200km). The Karuna Trust. Karuna is a Sanskrit word meaning ‘Compassionate Action Based on Wisdom’. The Karuna Trust works with community based organisations in India, helping thousands of people to escape the hell of poverty and discrimination and take their rightful place in society. The projects promote dignity and self-confidence, and the breaking down of caste and religious barriers. Friends of Buburi. A UK registered charity (No 1139288) that supports a primary health care clinic in the rural community of Buburi, Western Kenya. It funds 13 staff, providing treatment, medication and health education to over 12,000 people, especially women and children.